Гуманитарный факультет ГУАП > Публичные лекции > Sabine Iatridou. 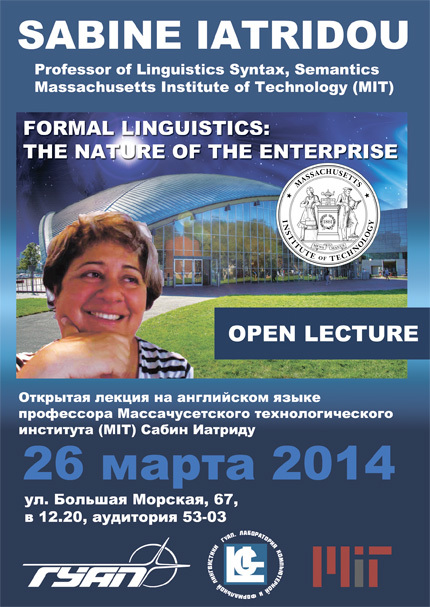 “Formal linguistics: the nature of the enterprise”. 26 марта 2014 Sabine Iatridou. “Formal linguistics: the nature of the enterprise”. Поделиться "Sabine Iatridou. “Formal linguistics: the nature of the enterprise”."